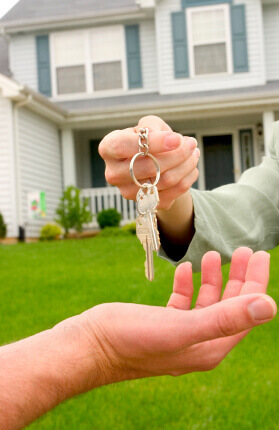 The term ‘Closing’ refers to the process whereby ownership of your new home is transferred from the Seller to you. Closing day is a day you probably won’t forget, especially if it’s your first home. This is the day that you take possession of the home you have purchased. Once all of the legal stuff with Deed, Title and Mortgage are taken care of by your lawyer, you become the legal owner of your home. Though you’ve probably been in contact with your lawyer throughout the closing period, I do recommend you call him or her two weeks before the closing date to confirm your appointment to sign the mortgage papers, the legal papers, and to discuss the Statement of Adjustments. Your lawyer will inform you of the amount of the balance owing on the transaction so that you can bring a certified cheque to cover the closing costs, when you meet your lawyer to sign the papers. At this meeting, you’ll want to make a plan to get the keys to your new home. Sometimes the lawyer’s office will courier the keys to you, or you can set up a location where you can pick them up, such as the office where I work, Royal LePage Triland, Realty. Typically you get the basic entry key(s). A second set of keys as well as any other small keys (for a shed, locker, mailbox etc.) will often be left at the house for you by the Seller. On the actual day of closing your lawyer’s office will notify you that the transaction has officially closed and that the keys are available for pick up. There’s no set time as to when you will receive the keys, but lawyers’ offices often close early so you should have them by 5 pm. This is important to remember, especially if you’re planning to move in right on closing day: you may not get the keys until late afternoon. You will want to stay in touch with your lawyer that day and keep the movers updated on the timing of closing. Be prepared for a hectic day. As a courtesy to the people moving into the home you just sold, you will want to be out and gone by noon, so that the Buyers can begin moving in around 2:00 pm themselves. Many people are often willing to pay for a couple of days or more of bridge financing so that they can move in after the closing date. This allows them a more relaxed move and the possibility of doing some pre-moving clean up, if necessary. If there is enough time, say a couple of weeks or more between when you take possession of your new house and when your current property closes, there is the possibility to do some painting or even some minor renovations.